TORONTO, ON – Duggan’s Brewery has announced the release of the first in a planned series of limited edition strong ales. Brewed in May of 2015, aged in a Jack Daniels Bourbon barrel for over one year. A complex brew made with 100% Ontario ingredients and hops from our hop yard. The outstanding example of the brewer’s art will warm the lips and heart of any beer connoisseur at this special time of year. 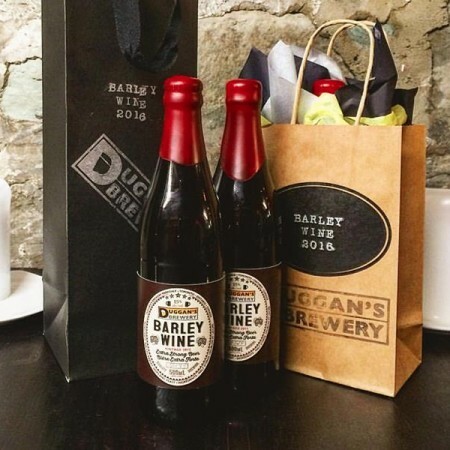 Duggan’s Barley Wine is out now in a limited run of 400 x 500 ml bottles, available exclusively at the Duggan’s retail store for $25 per bottle while supplies last.